Kirtland AFB is situated on 51,558 acres in Albuquerque, New Mexico. It is the sixth largest base in the USAF, employing over 23,000 personnel including 4,200 active duty. The Nuclear Weapons Center of the Air Force Materiel Command is the premier unit at Kirtland. The Nuclear Weapons Center is responsible for acquiring and sustaining nuclear weapon system programs for the DoD and Department of Energy. It is made up of two wings - the 377th Air Base Wing and the 498th Armament Systems Wing. 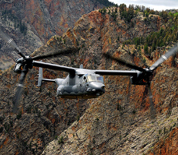 Additional units on base include the 58th Special Operations Wing and the 150th Fighter Wing of the New Mexico Air National Guard. This Kirtland AFB (Air Force Base) directory features the critical info you’ll need to navigate through the many facilities and recreational opportunities available on base.